Suddenly men who have scorned bracelets or rings are contributing to the increase in luxury accessories sales. Until two years ago, Mike Alt, a software engineer in Boulder, Colorado, avoided jewellery for the same reason many men prefer to go unadorned: “Jewellery, especially on men, seemed flashy and gaudy,” he said. Then Alt received two sentimental gifts from his wife – a palladium pendant in the shape of a lotus leaf, followed by a leather bracelet for his 50th birthday, both designed by Todd Reed, a jeweller who also happened to be a neighbor – and found himself reconsidering his view of men’s jewellery. Alt was so impressed with Reed’s style – the designer is known for his pioneering use of raw diamonds in industrial chic settings – that he asked him to make an anniversary cuff for his wife. When he stopped by Reed’s flagship store in Boulder, he found himself coveting a $1,500 leather bracelet. Unlike tattoos, piercings or fashionable clothing, jewellery still provokes deeply ambivalent feelings among men. Images of a casino pit boss draped in gold chains or a used car salesman flashing a ring still echo throughout pop culture, even though trends have clearly moved beyond such caricatures of masculine adornment. Translate it has: Sales of men’s accessories grew 9 percent to $13.6 billion in the 12 months ending May 2014, capping a two-year period that saw the category grow 13 percent over all, according to the market research company NPD Group. The fashion industry is capitalizing on men’s accessories with a frenzy of expansion. In July, the fashion publisher WWD reported that the designer Michael Kors had appointed a new global men’s wear president, charged with building a $1 billion men’s brand. Research bears this out. Earlier this year, Noise/The Intelligence Group , a youth-focused marketing agency based in New York, released a report that found that, in a survey of 14- to 34-year-olds, 34 percent of men were willing to pay for a luxury accessory. 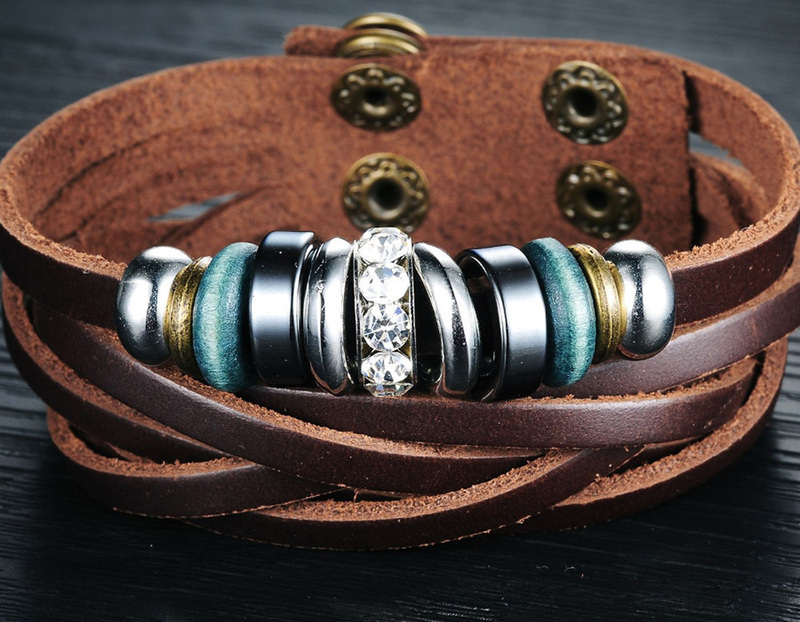 There is nothing inherently new about men donning jewels to stand out in a crowd. From the gold chains that adorned ancient Sumerian rulers in Mesopotamia to the elaborate diamond necklaces beloved by India’s maharajas, jewellery was a man’s game from the very beginning – and the more powerful the man, the more sumptuous his ensemble. “Where it probably splits, like everything else, is the French Revolution,” said Beatrice Behlen, senior curator of fashion and decorative arts at the Museum of London, whose recent “Tomfoolery” exhibit featured photographs of male Londoners wearing jewellery. After the rise of the bourgeoisie at the end of the 18th century, Behlen said, came “The Great Masculine Renunciation,” a phenomenon that saw men eschew bright colors and ornamental styles in favor of darker, more utilitarian clothing that underscored their commitment to work over beauty. Price contends that jewellery for men became socially acceptable again some 25 years ago, when hip-hop stars and famous athletes began to sport heavy gold chains and diamond-encrusted accessories. For a more contemporary style icon, she referred to Prince Harry of Britain, whose taste for wearing stacks of beaded and leather bracelets on his wrist is well documented. To hear Neiman Marcus’s Downing tell it, the 29-year-old Prince Harry’s predilection for surfer-style bracelets reflects a truism about men’sjewellery (today, at least): The wrist is a focal point, with the trend reaching across age and income brackets. “A gentleman in a meeting with a pinstriped suit – it’s not unusual to see beads and silver poking out beneath his cuff,” Downing said. To people familiar with the market, it is difficult to say which came first: the tide of interest in men’s baubles, or the retail selection to support it. A few years ago, Marie Helene Morrow, president of Grupo Reinhold, the parent company behind a dozen upscale jewellery stores in Puerto Rico, decided to change that. Last November, Morrow opened Kiyume – the word means male in Swahili – a 650-square-foot men’s boutique in Plaza Las Américas, Puerto Rico’s biggest luxury mall. The store caters to men with an assortment of jewels and personal style tokens – from cufflinks and watches to grilling tools hand-carved from elk antlers. Thanks to the collective push behind men’s jewellery, Morrow and other retailers now have a wider selection of designers to work with. This fall, for example, Alex Soldier, a Russian master jeweller based in New York, is debuting his first fine jewellery collection for men. It includes Zodiac pendants fashioned from smoky quartz, textured gold cufflinks in the shape of snails, and a $25,000 one-of-a-kind signet ring in 18-karat white, yellow and rose gold, with a 1.27-carat cushion-cut diamond framed by 2.45 carats of rhodolite garnets. Even jewellery newcomers have felt the inexorable pull to the men’s side. Todd Vladyka and Jim Hinz, the duo behind Editions De Re, a one-year-old line of men’s accessories based in Philadelphia, quit their careers in the medical and art book fields, respectively, to pursue their fascination with jewellery. Committed to making “jewellery for the guys who don’t wear jewellery,” as Vladyka said, they created a set of trapezoid-shaped cufflinks at the behest of their friend Kate Egan, co-owner of Egan Day, a local jewellery boutique. At William Henry, the founder and chief designer, Matt Conable, introduced in July his first jewellery collection, a tribute to HBO’s “Game of Thrones.” He rendered the series’ mythical universe in offbeat materials, such as fossilized mammoth ivory and Damascus steel. “It’s the largest product investment we’ve ever made,” McCormick said of the 65-piece collection. Reed, the designer from Colorado, is equally committed to the men’s category. In June, at the Couture show in Las Vegas, he unveiled his first full-blown men’s jewellery collection, including belt buckles, stitched leather bracelets and a black jade ring with black diamonds that he described as “the sexiest thing” he has ever made. Even stalwarts of the women’s jewelry design scene are edging their way into the men’s arena. 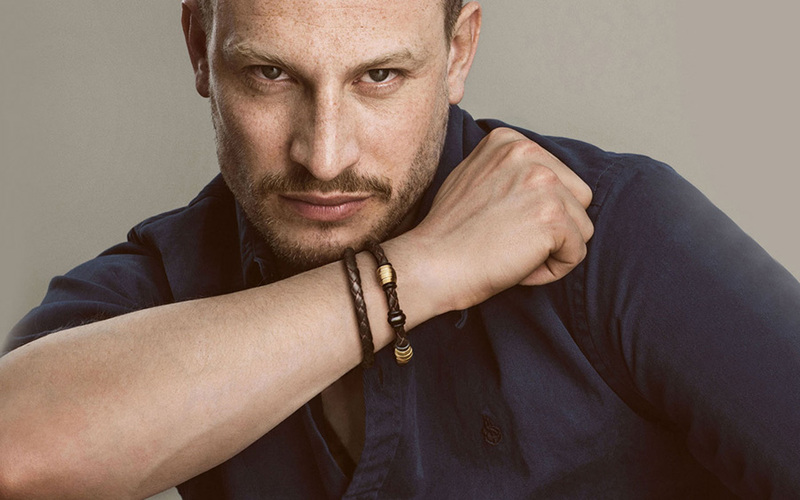 After years of hemming and hawing, the jeweller Solange Azagury-Partridge, based in London, introduced Alpha, her first men’s collection, in June. Priced from about 2,000-10,000 pounds, or $3,200 to $16,500, the line reflects the designer’s cheeky sensibility. It includes a “Ball and Chain” pendant in sterling silver and a “Caveman” ring in blackened yellow gold that resembles a miniaturized skull and teeth. Victoria Gomelsky is editor-in-chief of JCK, a New York City-based jewelry trade publication. She was born in St. Petersburg, Russia and emigrated to the United States in 1978. She divides her time between NYC and Los Angeles. Gold: do you know where yours is from?